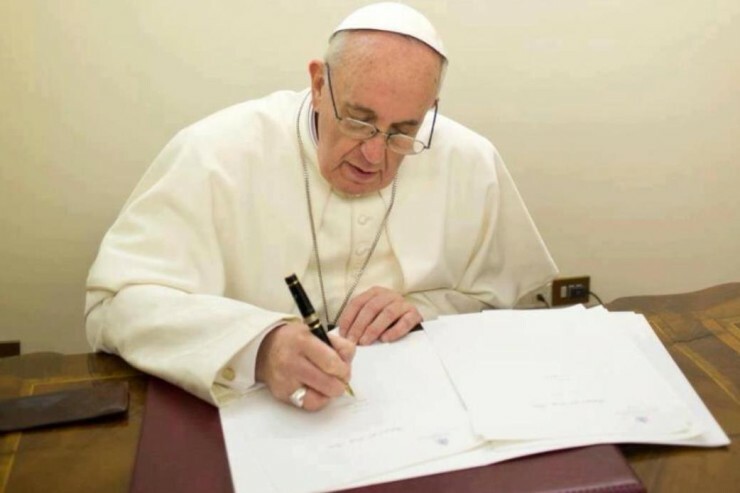 Below is a ZENIT translation of the telegram of condolences Pope Francis sent upon learning of the death of Cardinal Giovanni Coppa, of the Italian diocese of Alba. The death of dear Cardinal Giovanni Coppa, a native of the Diocese of Alba, provokes, in my soul, deep emotion and sincere admiration for a man esteemed in the Church who lived with faithfulness his long and fruitful priesthood and episcopate in the service of the Gospel and the Holy See. I remember with gratitude his generous and competent work as diligent collaborator with six Popes who entrusted delicate and important offices to him. Called to the first Apostolic Chancery, he then continued his mission in the Secretariat of State, and would cooperate in the work of Vatican Council II as a Latin scholar. As an assessor at the Secretariat of State, and as a delegate in the papal representations, he witnessed pastoral wisdom and thoughtful attention to the needs of others, reaching out to all with goodness and gentleness. As papal representative to the Apostolic Nunciature in Prague, he witnessed a commitment, which was particularly intense and fruitful, for the spiritual good of the nation. I offer heartfelt prayers so that, through the intercession of the Virgin Mary and of St. Ambrose, of whom he [the late cardinal] was a renowned scholar, the Lord may welcome the late cardinal in His eternal joy and peace, and I send my Apostolic Blessing to all those who share in the sorrow for the loss of this zealous pastor.